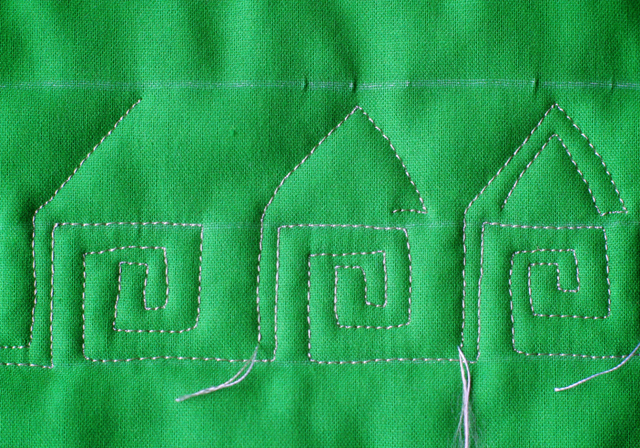 Welcome to Tutorial Tuesday held on Thursday…I am a little late this week…Today we are building houses…Row Houses. In no time at all we will have a village! Draw three lines, one inch apart. This is a “two-pass” pattern. 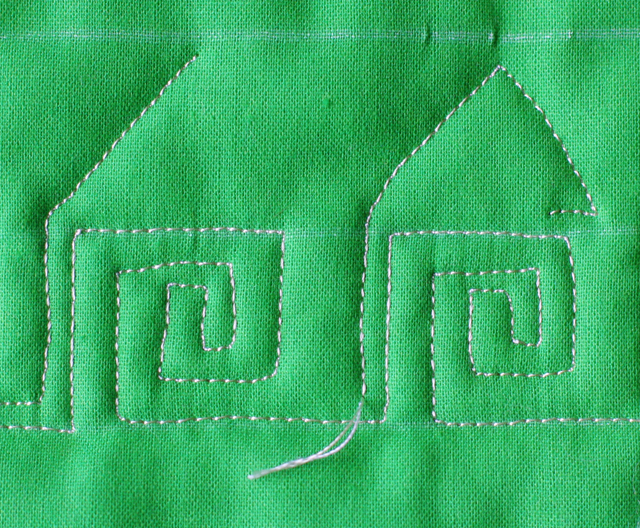 The first “pass” will be the bottom of the house, and the second “pass” will be the roof. 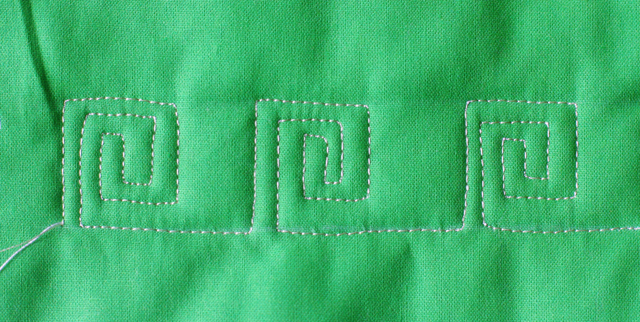 Starting on the bottom line, stitch The Greek Key (find that tutorial HERE) Leave a space between each “key”. 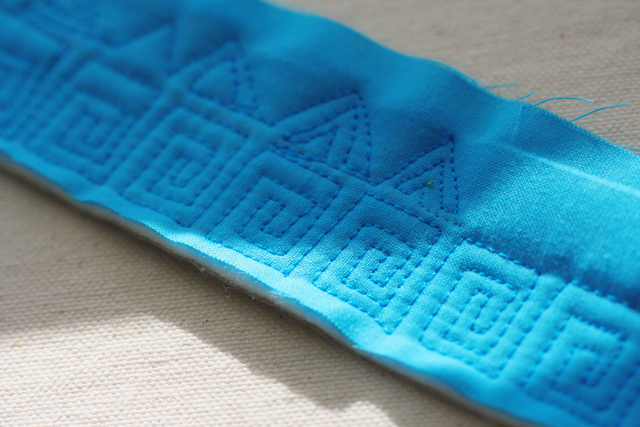 Next, stitch toward the center and create the third triangle. Now you have finished the roof lines. 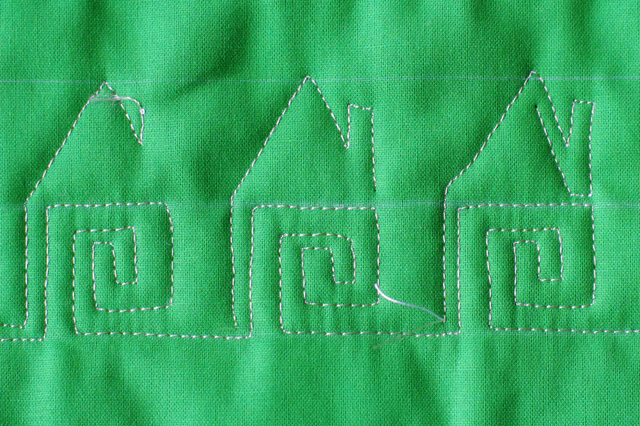 From here stitch out from the triangle and then down next to your first house into the space between the houses. You are now ready to start the second roof line. I just LOVE Housework, don’t you? I love your houses. You’re right in no time one becomes a village. Well done. And thank you for sharing. You and your blog, tutorials, photos, and more, are the” best of the best” that I have ever encountered! Everyday, I check what you are creating. Thank you so much for sharing your talents, knowledge and creative self with all of us!!! Wow! That is just “music to my ears”–LOL! Thank you, very encouraging! Thank you, Lori. Your work is so artistic it always delights me. Thank you! It is so encouraging to hear your kind words! 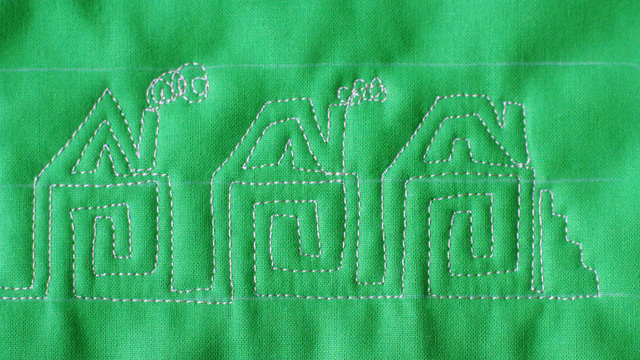 I just found your blog and I am in love with all your tutorials on FMQ. 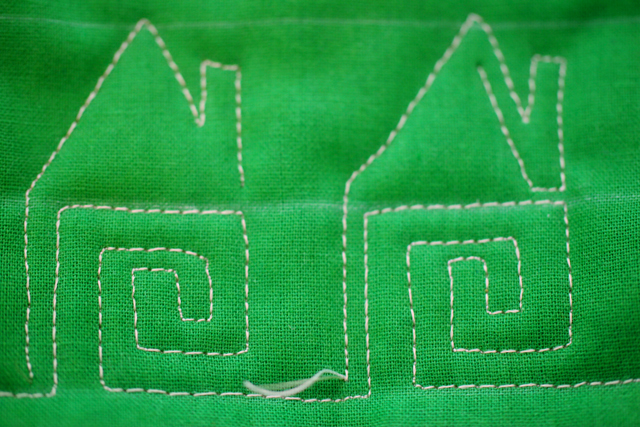 I have started practicing just in a sketchbook today but i am going to practice on quilt sandwiches this afternoon. Any questions??? Here is the big one – can I EVER get pretty good at this? 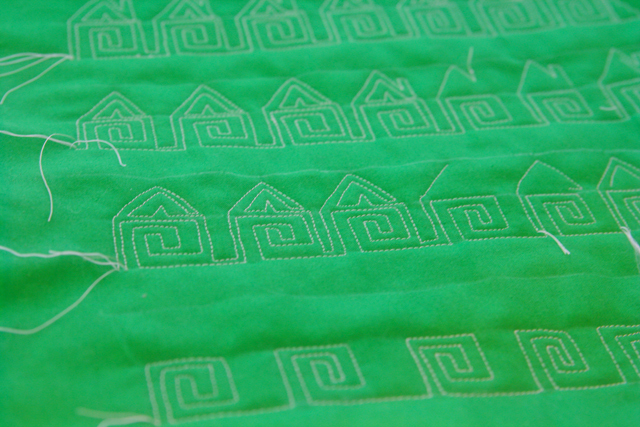 I know, practice, practice, practice, but it’s frustrating to look at a patterns and know that one is out of reach. Love your posts!!!!! Susan, You CAN do this! 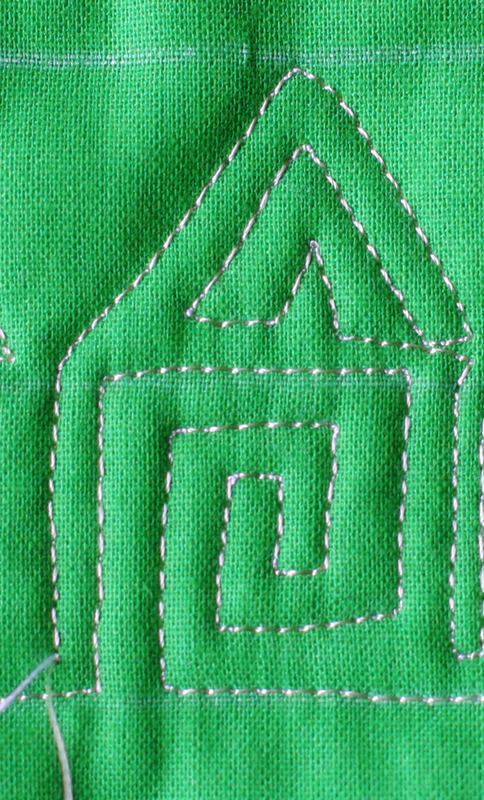 Stop practicing…pick your smallist quilt and DO it…I TRULY know how you feel….I felt the same way for a long time.